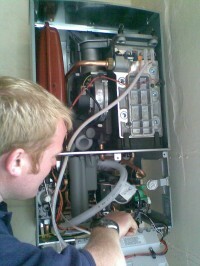 Need a new boiler in Colwyn Bay? Get FREE no-obligation quotes now! 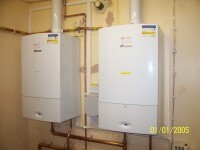 J. W. Jones & Son are Gas Safe and OFTEC registered heating engineers who supply and fit gas boilers and oil boilers. 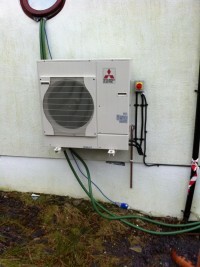 For similar replacement boiler companies in this area please visit the Colwyn Bay boiler page. 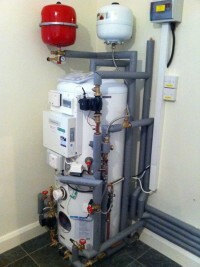 J W Jones & Son are Worcester Bosch renewable energy specialists. Worried about the spiriling cost of energy bills? With renewable energy, you can cut your energy bills, as well as helping the environment. At JW Jones we offer a comprehensive service in design and installation of electrical, heating and plumbing services for new build, refurbishment projects both domestic and commercial, as well as maintenance and servicing of current existing boilers and electrical and gas systems.